Tuesday morning's murder of Penny Proud has trans advocates outraged about the year's particularly deadly start for trans women of color. 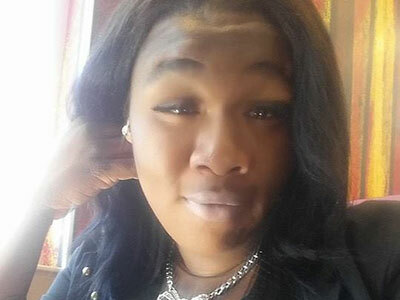 New Orleans trans advocates say they have been left stunned by the death of Penny Proud, one of their city's young, black trans residents, the latest casualty in the ongoing national trend of antitrans violence that has seen five trans women of color killed within the first five weeks of 2015. Proud, 21, was fatally shot multiple times at 1:30 a.m. on February 10, according to local news report from NOLA that the National Coalition of Anti-Violence Programs has linked to Proud. Few other details are currently available, but the first press release to address the situation, from New Orleans LGBT youth of color activist group BreakOUT!, condemned NOLA's report for misgendering Proud. In announcing her death, BreakOUT! has urged media to cover Proud's story, as well as those of all trans victims, with respect for her preferred identity, name, and pronoun, which also accords with journalistic standards endorsed by the Associated Press and GLAAD. The youth group had already been writing a press release concerning the recent deaths of Yazmin Vash Payne, 33, in Los Angeles; Ty Underwood, 24, in North Tyler, Texas; Lamia Beard, 30, in Norfolk, Va.; and Papi Edwards, 20, in Lousville, Ky., when news of Proud's murder emerged from local sources. San Francisco resident Taja DeJesus was also discovered fatally stabbed this week. "These deaths had little to no mainstream media attention," BreakOUT! stated. "The silence and lack of action from media on behalf of the Black transgender community sends a strong message that Black Trans Lives, in fact, do not matter." The NCAVP, of which BreakOUT! is a member, concurred. "2015 has begun in absolute tragedy, with the loss of four black transgender women and one Latina transgender woman," stated Chai Jinduraswat, codirector of community organizing and public advocacy at the New York City Anti-Violence Project. "We all must take immediate action by supporting the leadership of transgender women of color, public awareness and respect campaigns, speaking out against this violence, and protecting transgender people from harassment and discrimination. This is an epidemic and an outrage, and we all have to commit as a nation to ending this violence." A candlelight vigil for Proud will be held tonight 7 p.m. at the site of her death, on the 1100 Block of North Claiborne Ave., in the Treme district of New Orleans, according to the Transgender Law Center.